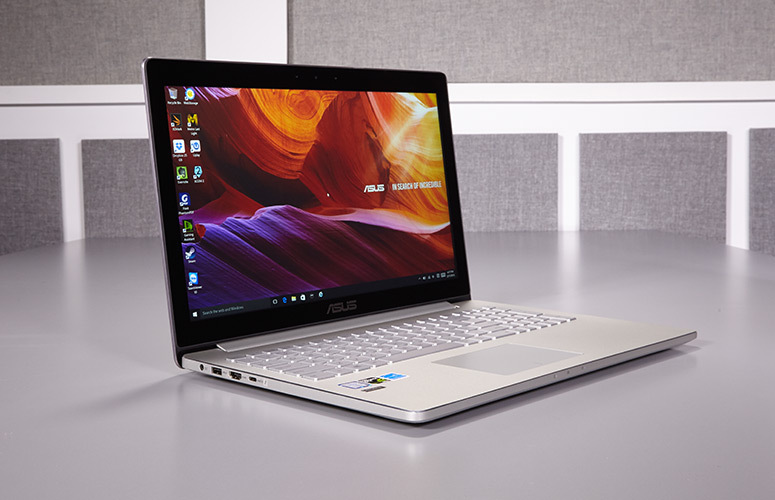 Asus Zenbook Pro UX501VW is considered 15 inches advanced laptops, attracted much attention. Asus Zenbook Pro UX501VW is equipped 4K display, Intel Core i7 processor, SSD hard drive capacity and Nvidia GTX 960M graphics processor, be ability to edit photos or videos. Excellent performance, high sound quality,... all of them in the Asus Zenbook Pro UX501VW laptop. WHAT IS THE ASUS ZENBOOK PRO UX501VW? 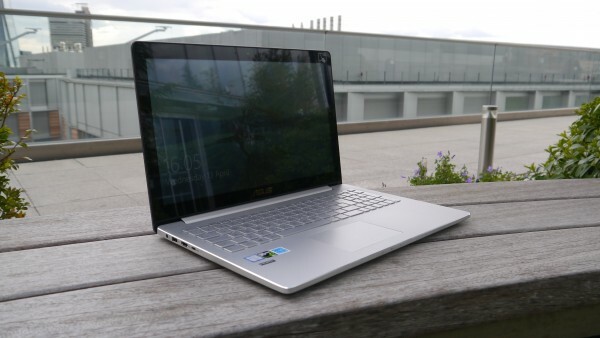 The ZenBook UX501VW is a high-end Windows laptop for those who are after power, battery life and an impressive screen, alongside a slim and stylish chassis. Its chief rivals are the 15in MacBook Pro and the latest Dell XPS 15. 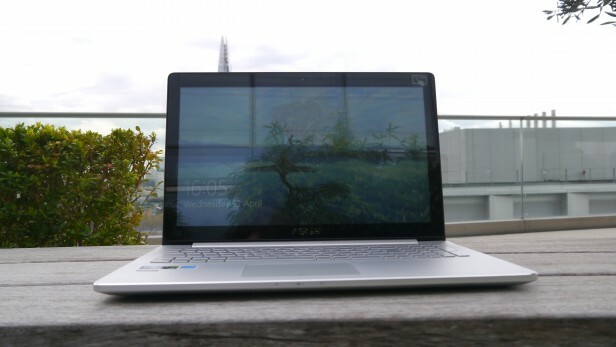 While the XPS 15 model Trusted had in March was a low-spec version with a mechanical hard disk and Full HD display, the UX501VW sent in by Asus – the only version I could find for sale in the UK – is as expensive as they come. Along with a 15.6in, 3,840 x 2,160 screen, you get a quad-core Intel Core i7-6700HQ processor that can boost up to 3.5GHz, a super-fast 512GB PCI-E SSD and 12GB of RAM. Also included is a powerful dedicated graphics chipset in the shape of an Nvidia GeForce GTX 960M, meaning the UX501VW should be able to handle any task – work or play – you throw at it. The UX501VW has a slightly larger footprint than both the MacBook Pro and XPS 15 and, at 21mm at the rear of the chassis, it&apos;s slightly thicker too. It’s a bit of a struggle to fit it into a regular-sized rucksack, but its 2kg weight – which is the same as the MacBook Pro and a couple of hundred grams more than the Dell – won’t trouble your shoulders too much. A huge advantage of the extra size, however, is that the laptop benefits from a full-sized numeric keypad. The bulk of the chassis appears to be made of metal, while the lid, base and keyboard surround are of a high-grade plastic. The keyboard set is identical to that found on the Asus N552VW Trusted reviewed in March. The UX501VW doesn’t feel as much of a work of art as its rivals from Dell and Apple, but it’s stylish and feels tough enough. I’d use a slip case to protect the shiny plastic lid from scratches, however. On the right of the base are two USB 3 ports and a card reader, along with a combination headphone-mic jack. On the left you&apos;ll find a second USB 3 port, an HDMI 1.4 port – which can drive an external 4K monitor, but only at a jerky 30Hz – and a fancy USB Type-C port. This works with both Thunderbolt and USB 3.1 peripherals and displays, and will be particularly useful if you want to plug your laptop into a Thunderbolt docking station. There’s no Ethernet port, but Asus includes a USB-to-Ethernet adapter in the box. There’s also an unspectacular webcam, which provides reasonable – if fairly noisy – video shot indoors. The built-in speakers could use some work; I found them loud and they&apos;re more than capable of filling a room, but the whole experience was just a little harsh for my liking and I often felt the need to switch to headphones, which is fairly disappointing when you consider the price. The laptop’s sizeable 383 x 255mm footprint leaves plenty of room for the keyboard, and the keys are large and well spaced. As you’d hope for on a laptop at this price, there’s no flex in the keyboard tray, and there’s enough travel and feedback to the keys to make accurate typing easy. Even better, every key is backlit, so typing in the dark is easy. The one disappointment is the spacebar, which feels very spongy compared to the other keys. 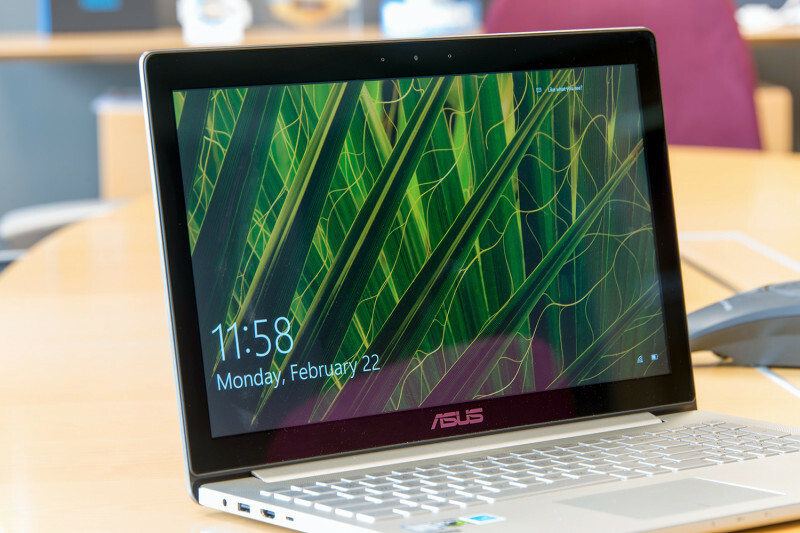 Asus has gone all out on the touchpad, and the result is generally excellent. Its smooth surface allows for accurate positioning of the pointer, and the definite click of the buttons meant that my presses never failed to register. In addition, the pointer also stayed perfectly still when clicking with the touchpad buttons, rather than wobbling about infuriatingly as I’ve seen on some other laptops. The touchpad has a number of gestures, which I was able to use with varying degrees of success. Two-finger scrolling works fine both vertically and horizontally; I found the Edge browser provided by far the smoothest multi-directional scrolling. Asus ZenBook Pro UX501VW 9Pinch-to-zoom is also useful, if rather sensitive, and a handful of three-finger gestures are included to switch between apps, show the desktop and bring up the Task View. I found switching to the correct app with a three-finger swipe left or right was almost impossible, but swiping up with three fingers to open the Task View was much easier. I’m a fan of Asus’ Mobile Control app, which lets you govern the laptop via your phone over Wi-Fi or Bluetooth – Bluetooth being particularly useful if you want to use your phone as a remote control for a presentation and don’t want to be reliant on someone else’s Wi-Fi network. The UX501VW’s screen is exceptional. I’m only just becoming acquainted with seeing 4K screens on desktop PC monitors, and to have one on a 15in laptop is something else entirely. Having this many pixels crammed into such a small area makes for a pixel density of 282ppi, and all text and vector graphics are super-sharp. I compared the Asus laptop side by side with a Dell laptop featuring a 13in 1,920 x 1,080 display (169ppi), and the difference in sharpness was obvious. To put this into context, the Asus screen has 60% more pixels than the 15in MacBook Pro, with its 2,880 x 1,800 Retina display. Windows is far better at scaling than it used to be, which is fortunate since here you&apos;ll need to jack up the display scaling to 250% to make icons and text a reasonable size. The main problem with such high ppi screens is that they make non-optimised applications look terrible. Text often appears blurry and smeary and, in the case of LibreOffice, icons are comically blown-up and blocky. Web browsers work fine, however, and Windows application support for ultra-high resolutions is improving all the time. The IPS display has a reflective surface, which is good for contrast at the expense of vulnerability to reflections from overhead light sources. Our test photos looked great, with vibrant colours and plenty of detail in light and dark areas. However, the results from our colorimeter tests didn’t quite live up to Asus’ claims. The company claims the display can show 100% of the sRGB colour gamut, but our equipment measured only 93%. This is still an excellent result for a laptop, if not quite as colour-perfect as I’ve seen from the best desktop displays. Viewing angles are superb, though, so you won’t have to fiddle about with the screen tilt to avoid colour shift.